Short biographies of Winston Churchill (1874–1965), Major Frederick Russell Burnham, D.S.O., (1861–1947), Chief of Scouts, General Henry Douglas McIver (1841–1907), James Harden-Hickey (1854–1898), Captain Philo McGiffen (1860–1897), and, William Walker (1824–1860). This is Henry Ronald Douglas MacIver, for some time in India an ensign in the Sepoy mutiny; in Italy, lieutenant under Garibaldi; in Spain, captain under Don Carlos; in our Civil War, major in the Confederate army; in Mexico, lieutenant-colonel under the Emperor Maximilian; colonel under Napoleon III, inspector of cavalry for the Khedive of Egypt, and chief of cavalry and general of brigade of the army of King Milan of Servia. These are only a few of his military titles. In 1884 was published a book giving the story of his life up to that year. It was called "Under Fourteen Flags." If to-day General MacIver were to reprint the book, it would be called "Under Eighteen Flags." MacIver was born on Christmas Day, 1841, at sea, a league off the shore of Virginia. His mother was Miss Anna Douglas of that State; Ronald MacIver, his father, was a Scot, a Rossshire gentleman, a younger son of the chief of the Clan MacIver. Until he was ten years old young MacIver played in Virginia at the home of his father. Then, in order that he might be educated, he was shipped to Edinburgh to an uncle, General Donald Graham. After five years his uncle obtained for him a commission as ensign in the Honorable East India Company, and at sixteen, when other boys are preparing for college, MacIver was in the Indian Mutiny, fighting, not for a flag, nor a country, but as one fights a wild animal, for his life. He was wounded in the arm, and, with a sword, cut over the head. As a safeguard against the sun the boy had placed inside his helmet a wet towel. This saved him to fight another day, but even with that protection the sword sank through the helmet, the towel, and into the skull. To-day you can see the scar. He was left in the road for dead, and even after his wounds had healed, was six weeks in the hospital. This tough handling at the very start might have satisfied some men, but in the very next war MacIver was a volunteer and wore the red shirt of Garibaldi. He remained at the front throughout that campaign, and until within a few years there has been no campaign of consequence in which he has not taken part. He served in the Ten Years' War in Cuba, in Brazil, in Argentina, in Crete, in Greece, twice in Spain in Carlist revolutions, in Bosnia, and for four years in our Civil War under Generals Jackson and Stuart around Richmond. In this great war he was four times wounded. It was after the surrender of the Confederate army, that, with other Southern officers, he served under Maximilian in Mexico; in Egypt, and in France. Whenever in any part of the world there was fighting, or the rumor of fighting, the procedure of the general invariably was the same. He would order himself to instantly depart for the front, and on arriving there would offer to organize a foreign legion. The command of this organization always was given to him. But the foreign legion was merely the entering wedge. 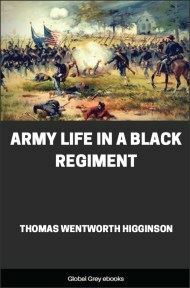 He would soon show that he was fitted for a better command than a band of undisciplined volunteers, and would receive a commission in the regular army. In almost every command in which he served that is the manner in which promotion came. Sometimes he saw but little fighting, sometimes he should have died several deaths, each of a nature more unpleasant than the others. For in war the obvious danger of a bullet is but a three hundred to one shot, while in the pack against the combatant the jokers are innumerable. And in the career of the general the unforeseen adventures are the most interesting. 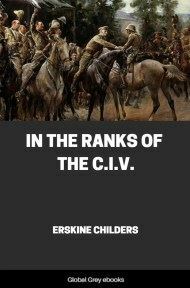 A man who in eighteen campaigns has played his part would seem to have earned exemption from any other risks, but often it was outside the battle-field that MacIver encountered the greatest danger. He fought several duels, in two of which he killed his adversary; several attempts were made to assassinate him, and while on his way to Mexico he was captured by hostile Indians. On returning from an expedition in Cuba he was cast adrift in an open boat and for days was without food. 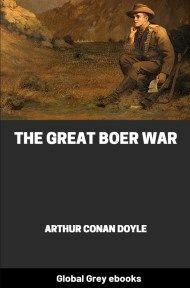 Long before I met General MacIver I had read his book and had heard of him from many men who had met him in many different lands while engaged in as many different undertakings. Several of the older war correspondents knew him intimately; Bennett Burleigh of the Telegraphwas his friend, and E. F. Knight of the Times was one of those who volunteered for a filibustering expedition which MacIver organized against New Guinea. The late Colonel Ochiltree of Texas told me tales of MacIver's bravery, when as young men they were fellow officers in the Southern army, and Stephen Bonsal had met him when MacIver was United States Consul at Denia in Spain. When MacIver arrived at this post, the ex-consul refused to vacate the Consulate, and MacIver wished to settle the difficulty with duelling pistols. As Denia is a small place, the inhabitants feared for their safety, and Bonsal, who was our charge d'affaires then, was sent from Madrid to adjust matters. Without bloodshed he got rid of the ex-consul, and later MacIver so endeared himself to the Denians that they begged the State Department to retain him in that place for the remainder of his life.